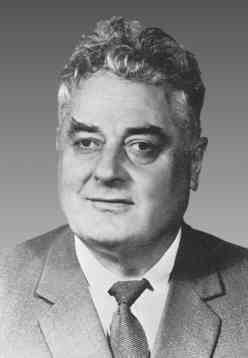 1936-1938 Head of the theoretical geophysics department at the Geophysics Institute of the Georgian Branch of the USSR Academy of Sciences. 1940 Full Professor of Tbilisi State University. 1947-1950 Head of the Mathematics and Natural Science Departmant of the Georgian Academy of Sciences. 1966 Deputy of Supreme Soviet of the USSR (and further of all convocations). 1950 Stalin Prize of the second degree for research work "New methods of solution of elliptic equations". (Russian), published in 1948. 1975 Order of Lenin for scientific work "Generalized analytic functions". (Russian), published in 1959. 1984 State Prize for research work " Some general methods of constructing various versions of the shell theory". (Russian), published in 1982. Vekua Ilia Nesterovich. (materials to the bibliography). - In: Mathematics in the USSR for 40 years 1917-1957, v. 2. Biobibliography. M., Publishing House of Physico-Mathematical Literature, 1959, 121-122. Mania G. and Khvedelidze B. Ilia Vekua. Tbilisi Univ. Press, Tbilisi, 1967, p.76. Vekua Ilia Nesterovich. (Materials to the Bibliography). In: Mathematics in the USSR 1958-1967, v.2. Biobibliography. Issue 1, A-L. M., "Nauka", 1969, p.226. Vekua Ilia Nesterovich. Big Soviet Encyclopaedia, v.4, 1971, issue 3, p. 370. To the 70th anniversary of academician Ilia Vekua. Tbilisi Univ. Press. Tbilisi, 46p. Vekua Ilia Nesterovich. Georgian Soviet Encyclopaedia, v.4,1979, p. 46. Obolashvili E. Academician Ilia Vekua, Tbilisi, 1982, 32p. Memoirs on Differential Equations and Mathematical physics. Proc. Intern.Symposium "Differential Equations and Mathematical Physics" dedicated to the 90th birthday anniversary of Academician Ilia Vekua, Tbilisi,1997. Generalized analytic functions. (Russian).2nd ed.,revised, Nauka, Moskow, 1988, 509 p.
On the proof of some uniquness theorem occurring in the stationary oscillation theory. (Russian) Dokl. Akad. Nauk SSSR, 80(1951), No. 3, 341-343. Equations of thin elastic shells. (Russian) Abstracts of reports Inst. Appl. Math. Tbilis. State Univ. 5(1971) 69-75. On one trend of construction of shell theory. (Russian) Mechanics in the USSR for 50 years, (Russian) 3, 267-290, Nauka, Moscow, 1972. On two ways of constructing the theory of elastic shells. Proc. XIII Intern. Congr. Theoret. and Appl. Mech., (Moscow), 1972, 322-339, Springer-Verlag, Berlin-Heidelberg-New York, 1973. On a functional equation of the theory of minimal surfaces. (Russian) Dokl. Akad. Nauk SSSR, 217(1974), No. 5, 997-1000. On two ways of constructing a noncontradictory theory of elastic shells. (Russian) Proc. I All-Union School on the Theory and Numerical Methods of Calculation of Shells and Plates, (Gegechkori), (Russian) 5-10, Metsniereba, Tbilisi, 1975. On one method of solving the first biharmonic boundary value problem and the Dirichlet problem. J. Amer. Math. Soc. 104(1976), 104-111. On one class of statically definable problems of shell theory (Russian). Soobshch. Akad. Nauk Gruz. SSR, 83(1976), No. 2, 273-276; No. 3, 529-532.